What is your risk of getting breast cancer? The exact causes of breast cancer are unknown. Research has shown, however, that women with certain risk factors are more likely than others to develop the disease. Being a woman. This is the single greatest risk factor for breast cancer. Men can develop breast cancer too, but this disease is approximately 100 times more common in women than in men. Growing older. The risk for breast cancer increases with age. About one out of every eight invasive breast cancers are found in women younger than 45. About two out of three invasive breast cancers are found in women aged 55 or older. Having an inherited mutation in the BRCA1 or BRCA2 breast cancer genes. Women with this gene mutation have up to an 80 percent chance of developing breast cancer during their lifetimes. Certain breast changes. Some women have cells in the breast that look abnormal under a microscope. Having certain types of abnormal cells (atypical hyperplasia and LCIS) increases the risk of breast cancer. A family history of breast cancer. Having one first–degree relative (mother, sister, or daughter) with breast cancer approximately doubles a woman’s risk. Having two first–degree relatives with the disease increases risk about five–fold. High breast density. Women with denser breast tissue have more glandular tissue and less fatty tissue, and have a higher risk of breast cancer. Radiation therapy to the chest. Women who have had radiation therapy to the chest before age 30 are at an increased risk of breast cancer. This includes women treated with radiation for Hodgkin’s lymphoma. Studies show that the younger a woman was when she received radiation treatment, the higher her risk of breast cancer is later in life. A personal history of breast cancer. A woman with cancer in one breast is three to four times more likely to develop a new cancer in the other breast or in another part of the same breast. Race. White women are slightly more likely to develop breast cancer than African–American women. African–American women, however, are more likely to die of it. Menstrual cycles. Women who have had more menstrual cycles because they started menstruating at an early age (before age 12) and/or went through menopause at a later age (after age 55) have a slightly higher risk. Never having children or having your first child after age 30. Having many pregnancies and becoming pregnant at an early age reduces breast cancer risk. Being overweight after menopause or gaining weight as an adult. Having more than one drink of alcohol per day. Compared with non–drinkers, women who consume one alcoholic drink per day have a very small increase in risk. Those who have two to five drinks per day have about one–and–a–half times the risk of women who do not drink. Currently or recently using combined estrogen and progesterone hormone replacement therapy (HRT). Large studies have found that there is an increased risk of breast cancer related to the use of combined HRT. Combined HRT also increases the likelihood that the cancer may be found at a more advanced stage, possibly because it reduces the effectiveness of mammograms. Current or recent use of birth control pills. Studies have found that women using oral contraceptives have a slightly greater risk of breast cancer than women who have never used them. This risk declines once the usage has stopped. Not breast-feeding. Some studies suggest that breast–feeding may slightly lower breast cancer risk, especially if breast–feeding is continued for one to two years. Smoking. A recent study found that smoking 100 or more cigarettes may substantially increase a woman’s odds of developing breast cancer. Having one or more risk factors does not mean that an individual will develop breast cancer. Most women who have one or more breast cancer risk factors never develop the disease. There are also many women with breast cancer, however, who have no apparent risk factors other than being a woman and growing older. 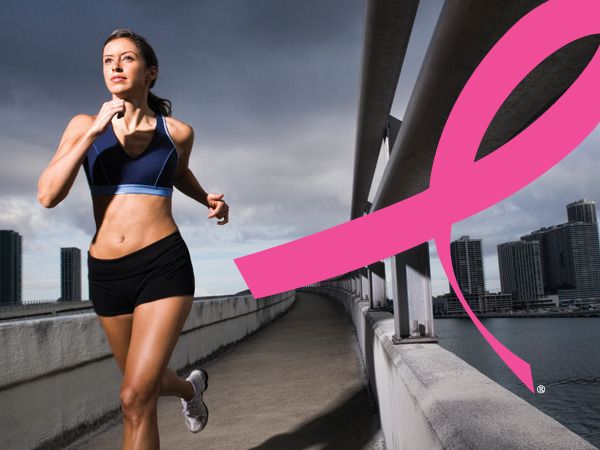 Reducing your risk of breast cancer.